Rev. Carly is delighted to be starting her second year as minister at UUCD. She was ordained in 2013 and has since served in several congregational and community settings, including as executive director of Welcome Inn Community Centre (Hamilton) and assistant minister of social justice at the First Unitarian Congregation of Hamilton. She is passionate about innovation and building multi-generational community in Unitarian Universalist communities, as well as weaving spiritual growth, community building, and social justice together. ​When not at UUCD, she can be found spending time with her family as well as playing soccer, ultimate frisbee, reading, and practicing and teaching yoga. She lives in Hamilton with her partner, Curtis Murphy, and their son, Darragh. Anne Bokma is an award-winning freelance journalist, public speaker and storyteller whose memoir, My Year of Living Spiritually: One Woman's Secular Search for a More Soulful Life, is forthcoming this fall from Douglas & McIntyre. Anne is the founder of Hamilton's popular 6-Minute Memoir "speed storytelling for a cause" event, which features writers sharing tales on a common theme in six minutes or less and raises money for local charities. She is an active member of First Unitarian Church in Hamilton. Annette Wilde lives in Toronto and is a member of First Unitarian Congregation of Toronto. Introduced to “Save a Family from Syria” project by her stepmother in Kingston, she then brought the successful idea to Toronto First. Learn more about the arrival of their first family at http://saveafamilyfromsyria.org or on Facebook. Ben Robins grew up in the Kingston Unitarian Fellowship, and is now at Emmanuel College in Toronto preparing for UU ministry. His main social justice work has been in youth rights. He enjoys physics, contact improv dance and intentional community. Brian Carwana is the Executive Director of the Encounter World Religions Centre, an educational centre that has introduced over 100,000 participants to the people, places, practices and philosophies of the world's religions. Through Encounter, Brian has engaged in endless religious travel and has found it to be one of the most impactful aspects of his life. Brian is also close to completing a PhD in religion at the University of Toronto which he began right after the dinosaurs were wiped out. He hopes it will be worth it. Rev. Cheryl Jack is Minister Emeritus of the UUCD. She launched the church in September 1997 at its current location, the (old) Brooklin Community Centre, and was our minister for the next ten years. She is actively involved with Whitby Rotary and with VON - Durham Hospice. Rev. Curtis Murphy is a candidate for Unitarian Universalist ministry. He is a recent graduate of the Montreal School of Theology, and did his ministerial internship at the First Unitarian Congregation of Toronto. He is also a gardener, a lover of bicycles and hockey, and is married to the Rev. Carly Gaylor, and has a new son, Darragh. 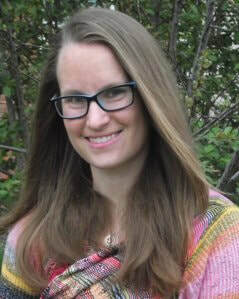 Danielle Webber is from Calgary and is a third generation Unitarian Universalist. She has followed in her grandmother’s footsteps as a UU Minister. Danielle was granted a Masters of Divinity in May 2016 and is currently enrolled in a Master of Arts in Leadership Studies at Meadville Lombard Theological School, the UU seminary in Chicago. She completed her Clinical Pastoral Education in 2014 at St. Joseph’s Healthcare Hamilton and she has spent 2 years as part time student minister and intern at the Unitarian Church of Calgary. She is currently the intern at First Unitarian Congregation of Toronto. Dr. David Agnew is a Buddhist practitioner of more than 10 years. He facilitates Buddhism classes at Nalandahaboddi Centre under the direction of Donzeng Ponlop Rinpoche who is a Buddhist master and writer of Rebel Buddha. He has a PhD in physics, teaches at UOIT part time, and has a consulting business in physics. He lives in Oshawa with his family. David is a husband, father of two grown children and a grandfather. David Seale is a long time Unitarian Universalist. He retired from a Social Work career at Ontario Shores Centre for Mental Health Sciences in August 2015. Dave has made the full-time transition to Port Hope where he is exploring the wonders of retirement with Lisa, two dogs and four cats. Rev. Fiona Heath launched into her ministry career when the UUCD hired her in 2013; her first position as an ordained minister. Now she is entering her third year as settled minister at the Unitarian Congregation in Mississauga. Gabi and Russell have been heavily involved in the UU youth community since they both turned 14. They have held leadership positions through youth conferences and within Grand River Unitarian in Kitchener. They are now 18 and have joined the UU Young Adult community. Jake Robinson received his Undergrad in Marine and Freshwater Biology as well as his Ph.D. from the department of Integrative Biology at the University of Guelph. His research has enabled him to travel, swim and research in many of the great bodies of water around the world. He currently is a professor at Durham College where he teaches Spectroscopy and Analytical Chemistry. He has been involved in the United Church of Canada for the past 20 years, where his lovely wife Michelle is a minister. He and his family enjoy spending time in the great outdoors. This includes organic gardening, playing in and on the water (particularly the back country of Algonquin Park and northern Ontario) and photography. Jennifer Tedford has a background in crisis intervention (mental health) working on the helplines at Distress Centre Durham for 12 years. She has facilitated a palliative care team in a long term care facility for 6 years and then three years ago she joined the Hospice Services group as a palliative care coordinator. Last April she became the Intake and Education Coordinator. As if this hasn’t been keeping her busy enough, Jennifer teaches Crisis Intervention and is a placement advisor at Durham College. Rev. Julie Stoneberg has been in Peterborough for going on 10 years, and had the great privilege of being Rev. Lori Kyle's supervisor for her parish internship. She is a dual citizen of Canada and the US. She has served as the President of the UU Ministers of Canada, and currently serves on the UU Ministers Association's CENTER team, who are responsible for continuing education, enrichment and renewal for all of our ministers. She is soon to be away for a 3-month sabbatical during which she will be focusing on embodiment and voice. LeBourdais, wrote “The Trial of Steven Truscott” and Julien has known Steven for over 50 years. Kate Green is USC Canada Program Manager for Asia. She works with her local colleagues in Nepal, Bangladesh and East Timor. Kate has a range of experience and interests that stem from her work with USC: organic and sustainable farming methods in challenging environments and gender analysis in the seed and food systems. In her many years with USC, she has also been part of the in-Canada Public Engagement work of USC, which connects with groups and people who share the desire to change and bring more justice to the global food system. Kate holds degrees from Queen’s (1989), The University of East Anglia in Norwich, England (1991) and Ryerson University (2006). Kelly Hayes has been a member of the UUCD for 13 years. Her spiritual path has centered on earth-based traditions, something she shares with the original inhabitants of Canada. Since the Truth and Reconciliation Commission presented its final report in June 2015, Kelly has supported understanding between the settler and Indigenous communities by facilitating community discussions and learning opportunities leading towards right relations in Canada. Landy Anderson is of mixed Métis and Chinese Heritage. She lives in Oshawa, Ontario with her husband and children who are members of Albertville First Nation. Landy is a former Foster Care Supervisor with over 30 years’ experience in child welfare. She has worked as a child protection worker in several Children’s Aid Societies in Ontario. She is currently enrolled at York University in the Master of Education focusing on Urban Aboriginal Education. Landy also teaches in the Child and Youth Worker Program at her local community college. She has published a book entitled"The Foster Parent Survival Guide: How to Navigate the Child Welfare Matrix". Larry Gillman has been the president of the Beth Israel Synagogue in Peterborough for the past 15 years. He is a supporter of Canadian, Dr. Paul Thistle, who has dedicated his life to help the needy in Zimbabwe. Larry is making his fifth trip to the hospital in December. He has spent 21 years coaching minor league football in Peterborough. He works as a financial adviser with Freedom 55 Financial. Linda Thomson has been a Unitarian since 1983 and has a profound love and appreciation for our faith and its potential. She has worked with the Canadian Unitarian Council since 2002. Ordained in 2013, Linda completed her MDiv at Meadville-Lombard Theological School in Chicago. Linda’s studies have also included an Internship at the Amherst Unitarian Church (near Buffalo) and at the CUC. Additionally, she completed a unit of Clinical Pastoral Education at St. Joseph’s Healthcare Centre in Hamilton, working primarily in one of the hospital’s Acute Mental Health Units. She currently holds the position of Congregational Development as the lead for Central & Eastern Region. Lori Kyle, following her successful interview with the Ministerial Fellowship Committee in Boston, Lori was ordained at Toronto First on June 14, 2015. She is a native of Kansas City, Missouri and moved to Canada in 2009 with her family. Currently she resides in eastern Toronto with her children Maddie and Nathan, and their yellow lab Sally. Lucy Sanford is a retired teacher and a co-author of three E.S.L. textbooks. She was raised as a Unitarian and became a member of the Unitarian Universalist Congregation of Durham in 1999. She is currently the chair of the Worship Committee. She lives in the country with her husband, five finches and many fish. Rev. Lynn Harrison is the Minister of Community Engagement at First Unitarian Congregation of Toronto, and a noted singer-songwriter in Canada’s rich acoustic music tradition. With deep family roots in the Durham region, Lynn is always thrilled to visit UUCD. Mary Kelly is from the Ojibways of Onigaming and is a citizen of the Anishinaabe Nation in Treaty Number Three. She is lynx clan. She is a grandmother, avid reader and poet. Mary is a survivor of St. Margaret's Indian Residential School (Fort Frances, Ont). She is fluent in the Anishinaabe and English languages. Rev. Michelle Singh was born into an interfaith family. Rev. Singh has a deep understanding and appreciation for the world’s rich spiritual and cultural diversity. In 2008, she became an ordained Interfaith Minister from The New Seminary, New York. Since then, she has been actively engaged in Canada’s interfaith movement, including vicechairing Toronto’s award winning World Interfaith Harmony Week Steering Committee and co-founding a multi-faith Spiritual Dialogue Circle. Notably, Michelle was a Board member and Steering Committee Co-Chair for the 2018 Parliament of the World’s Religions — overseeing the world’s largest interfaith gathering, featuring over 1,000 diverse spiritual programs, attended by over 8,500 people. Prior to becoming an Interfaith Minister, Michelle spent more than 30 years in the I.T. and Communications sectors leading teams in challenging, goal-oriented environments. She is an officiant, well known for intuitive listening and her ability to create safe and sacred spaces for processing and dialogue. Michelle excels in bringing diverse groups of people together to achieve a common goal. Mike Szarka and his family were members of UUCD for more than 9 years until March of last year at which point they moved west so that Mike could take on a new position as Director of Research Partnerships at the University of Waterloo. Mike and Tracey are sorely missed by the UUCD, but we’re comforted to know that they are happy in their new home. Patricia Trudeau is studying at Emmanuel College, University of Toronto and is a candidate for Unitarian ministry. She has been a member of Neighbourhood Congregation in Toronto since 2007 after returning from living in Pittsburgh for nine years. She is married to Wilburn Hayden and has one son. Paul Hodgkins is a former Waldorf teacher. Waldorf education is based upon a path of knowledge known as anthroposophy, which was founded by Rudolf Steiner. Paul currently teaches a course called Foundation Studies in Anthroposophy, offered through the Rudolf Steiner Centre Toronto, located in Thornhill. Pauline and Dave Streeter were doing volunteer work in Nepal when the main earthquake hit, and experienced the devastation first-hand. When they got home to Canada they decided to start the charity Aanandit Aid to Nepal to help the people they had left behind. Rev. Peter Boullata is now completing doctoral studies in psychotherapy and spiritual care and Wilfrid Laurier University in Waterloo after many years of serving Unitarian Universalist congregations in the Boston area, in addition to a couple of interim ministries in Canada. He is currently the consulting minister with the Unitarian Fellowship of London. Originally from Montreal, he came of age in the Unitarian church there. Peter Lauricella lived in the Boston area for many years until 2008 when he and his wife, Marilyn, moved to Port Perry to be everyday loving grandparents. He is well known for his woodturning skills and participation in many art groups, including the Scugog Council for the Arts and Lake Scugog Studio Tour. He has been a member of the Worship Committee at UUCD and is active in the community. Rev. ​Rodrigo Emilio Solano-Quesnel is the half-time Developmental Minister at the UU Fellowship of Ottawa. Rod was ordained earlier this year by Neighbourhood UU Congregation in Toronto and is still a member at Neighbourhood. Rod is originally from Mexico and has lived in Canada since the 1990s. Rod has also served in leadership at First Unitarian in Toronto, as well as First Unitarian in Ottawa and the Unitarian Church of Montreal. Rev. Shawn Newton became the 23rd minister of First Unitarian Church in Toronto in September 2007. He began his undergraduate studies in the Conservatory of Music at Oberlin College. He eventually completed a bachelor degree in religious studies at Harvard's Extension School, and received a Master of Divinity from Harvard Divinity School. He is currently a candidate for the Doctor of Ministry at the University of Toronto/Toronto School of Theology. In the course of his preparation for ministry, Shawn served many places in the United States. Shawn loves to travel, to take in theatre and classical music, and to explore, with his husband, Bob, the fascinating array of neighbourhoods in Toronto. Sheila White is Don Heights Unitarian's Music Director and leader of the Don Heights singers. She grew up in the Unitarian environment with parents Bill and Vivian White, who were founding members of Don Heights. Now she spends her time promoting their new, original songbook, “Power of Song: New Hymns for a New Age”. Sheila is a former communications director and political adviser who received an African Achievement Award for politics in 2014. Now she mostly concentrates on music, writing, environmental education and online publishing. She is a regular public affairs panelist on CBC Radio One’s “Here and Now”. Rev. Stephen Atkinson is a Unitarian Universalist minister who has served North Shore Unitarian Church in West Vancouver in the past and, more recently, St. Joseph's Healthcare Hamilton as a chaplain. Tinie Evans has been a long time and tireless supporter of Grandmothers in Africa through her involvement in G-Moms of Port Perry. She is an active member of the United Church in Port Perry, singing in the choir and participating in many church and social events.